I found Joy over the weekend. The best part about her is her story. I thought I would share ‘my’ Joy with you. Joy is a 40 something mother of three. She is resilient and beautiful. Twelve years ago her husband and then sole bread winner got a stroke that left his paralysed. Everything changed instantly. While she had to nurse him and cater to his every need, (and I mean every need) she also had young children to raise. The couple’s savings quickly ran out as you can imagine. Most members of the family became scarce, barely checking in or providing any support. I suppose they were too busy worrying about their own problems. Joy knocked at a few doors and then stood still. Fast forward to today. Her eldest son is yet to join University and the two daughters are in Secondary school. She has managed by doing odd jobs from being a porter, working as a supermarket attendant to selling second hand clothes. The ‘bigger’ bills have been taken care of by good Samaritans. Speaking of, the gentleman who was paying her son’s school fees recently had to relocate to Europe. He is quite mature and as such may not easily find work let alone continue supporting them. I met Joy a few months ago and this was her biggest worry. How in the world was she going to pay tuition for her son, Mark? Her, my mum and I were actually together when she raised the issue. Her son was keen on studying law. The UACE results weren’t out yet but she was secretly hoping his grades weren’t good enough for the (more) expensive law degree. At least if he did something like Business Administration (his second choice). She didn’t know where the funds for that would come from either but it was a shorter, more manageable course. Well, it turns out BBA was not in the cards for this young man. The results finally came out and he had done well, not the top grade but well enough. Still, there was the issue of Pre-entry examinations. Joy comforted Mark in advance. She let him know even if he failed, it would not be the end of the world. He listened and kept his eye on the prize. 81% of the students who sat for this pre-entry exam failed. Mark was not one of them. The joy! The fear of being inadequately prepared! The list of students on Government sponsorship was released soon after. Mark’s name shone bright on this list. Would Joy’s husband stick it out with her if tables were turned? I have no idea. Would I be as strong as her in those shoes? Would you be? I don’t have the answers but I am glad I found Joy. You can’t tell by looking at her that her heart has patches and her soul is bleeding. This makes her an even more magnificent sight. 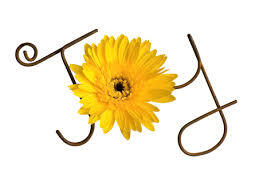 Have you found ‘your’ Joy? Cool! It’s a joy to read this.